Focus mitts, training mitts, kicking pads and belly pads. All the necessities a trainer needs to provide a solid pad workout. 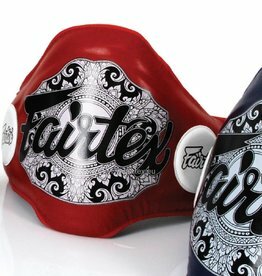 Fairtex FMV9 ultimate contoured focus mitts. Lightweight and natural fitting. 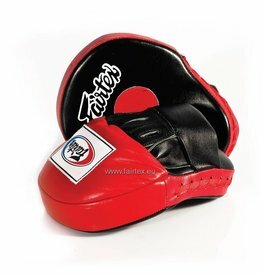 For practising punches in pad work training Muay Thai or kickboxing. 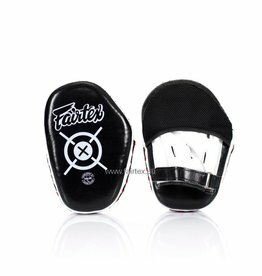 Fairtex FMV13 maximized focus mitts. Strong and durable. With extra large training area for punches and kicks in pad work training Muay Thai or kickboxing. 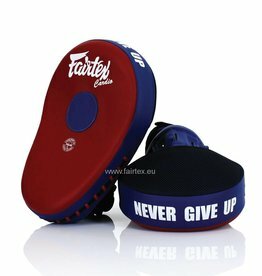 Fairtex KPLC2 curved kick pads. With curved design made from premium cow hide leather. 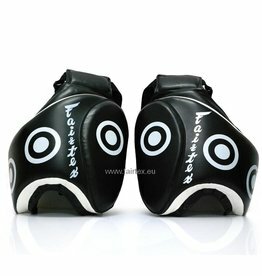 Ideal for pad work training Muay Thai or kickboxing. Fairtex BPV2 blue leather belly pad with hook and loop waist wrap. Lightweight yet strong enough to absorb push kick and impact from knees during pad work. 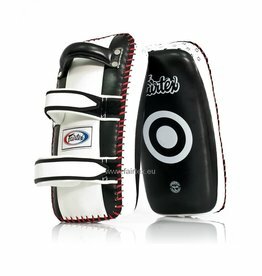 Fairtex BPV2 red leather belly pad with hook and loop waist wrap. Lightweight yet strong enough to absorb push kick and impact from knees during pad work. 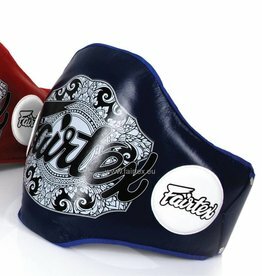 Fairtex TP3 Thigh Pads, designed to help develop leg kick speed, timing and accuracy.